Head and neck cancers include cancers of the mouth (oral cancers) and the throat, as well as rarer cancers of the nose, sinuses, salivary glands and middle ear. Dr. Snita Sinukumar gives the best Head and Neck Cancer Treatment in Pune. The mouth is the most common place for head and neck cancer to develop. Mouth cancer can develop on the lip, the tongue, the floor of the mouth (under the tongue), the inside of the cheek, the roof of the mouth (the hard palate), the area behind the wisdom teeth or the gum. LIP CANCER: Most lip cancers occur on the bottom lip. • The oropharynx is the part of the throat directly behind the mouth. It includes the soft part of the roof of the mouth (the soft palate), the base of the tongue (the part you can’t see), the tonsils and the back and side walls of the throat. 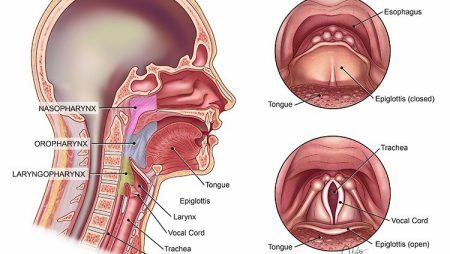 • The most common places in the oropharynx for cancer to develop are the tonsils and the base of the tongue. 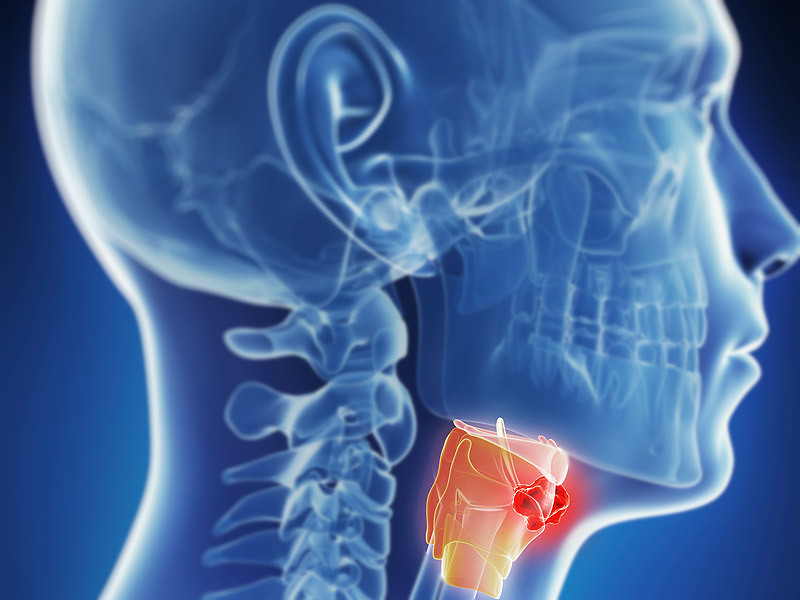 We have more information about cancer of the oropharynx. • Sublingual glands – which are under the floor of the mouth and below either side of the tongue. Pre-cancerous conditions of the mouth, such as oral submucosal fibrosis, leukoplakia and erythroplakia (white or red patches in the mouth often linked to tobacco use), increase the risk of a cancer developing in the mouth. • A swelling or lump in the face, mouth or neck. • Pain or numbness in the face or upper jaw. • If a cancer in the mouth or throat spreads from where it started, the first place it will usually spread to is the lymph nodes in the neck. Lymph nodes are small, bean-shaped structures that are part of the lymphatic system. • The cancer may begin to grow in the lymph nodes. This can show up as a painless lump in the neck. • Enlarged lymph nodes are much more likely to be due to an infection than to cancer. But if you have a lump on your neck that hasn’t gone away within 3-4 weeks, it should be examined by a specialist doctor. You’ll see a doctor who will ask you about your symptoms as well as any health conditions or recent illnesses. They’ll probably also ask if you’ve noticed any changes in your voice, swallowing, breathing, appetite or weight. After this, they will carefully examine your mouth, throat and neck and explain which tests you need. One of the most important tests for diagnosing cancer is a biopsy. This involves taking a sample of cells from the area that looks abnormal. A doctor, known as a pathologist, looks at the sample under the microscope and checks for any cancer. An incision biopsy means cutting a thin slice of tissue from the area to be tested. Your doctor will numb the area first with local anaesthetic. Then they cut around it using a sharp knife (scalpel) and remove a sample of tissue. Depending on the size of the piece of tissue removed, you may need to have some stitches put in to join the remaining tissue together and help it heal. This is a simple test that you can have done as an outpatient. 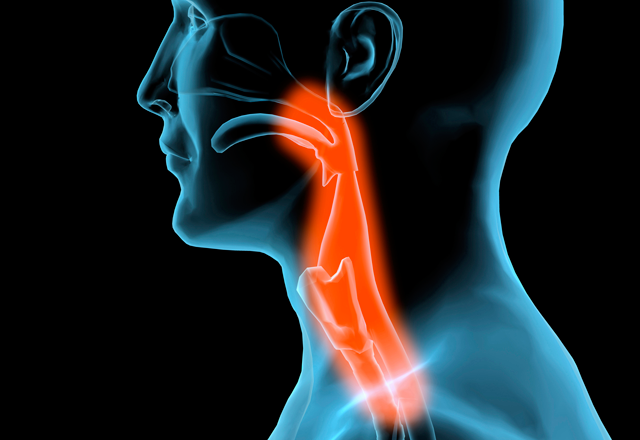 It’s often used to check neck lumps but it can also be done to take samples from areas in the mouth or throat. The doctor passes a fine needle into the lump to take a sample of cells. You may feel a little discomfort while this is being done. Sometimes the doctor uses an ultrasound scan to help guide the needle into the area to be sampled. • Sometimes a biopsy is taken while you’re asleep under a general anaesthetic. This allows the specialist to examine the area closely and to remove a larger area of tissue and/or take samples from any other areas that look abnormal. Usually this test can be done as day surgery and most people are able to go home the same day. • If the biopsy shows that there is a cancer, further tests will be done to find out its size and position, and to see whether it has spread. • If the tumour is small and hasn’t spread to lymph nodes or elsewhere, it can usually be treated with either surgery or radiotherapy. Small cancers in the mouth can often be removed with surgery. This may cause only small changes to speech, chewing or swallowing that can be adapted to quite quickly. • Radiotherapy may be the preferred treatment for cancers in areas of the head and neck that are difficult to reach, or where removing tissue can cause major changes in speaking or swallowing. • Surgery followed by radiotherapy, chemotherapy or chemoradiation. • Any other treatments that may be available. • You will usually be advised to have a complete dental check-up and to have any dental work you need before your treatment begins.Your cancer doctor may refer you to a dentist with experience in treating people who have head and neck cancers, or you may be asked to see your own dentist. • If you’re going to have radiotherapy and some of your teeth are unhealthy, you may need to have these removed before you start treatment.You may also be referred to an oral hygienist, who can give you advice on how to care for your teeth and gums. • Knowing how to care for your mouth is very important because cancer treatment may make it more sensitive and prone to infection, particularly if you have radiotherapy. • You can find out more about looking after your mouth and teeth, during and after treatment. • You will be seen by the dietitian and/or the speech and language therapist before having surgery or radiotherapy. They can help with any swallowing, speech or dietary issues you may have before your treatment. • They will also advise you on the likely effects that treatment may have on functions such as swallowing and speaking, as well as what can be done to help.Sometimes radiotherapy can lead to severe difficulty in swallowing, particularly if it’s combined with chemotherapy (chemoradiation). • Usually this is temporary and settles within a few weeks of completing treatment. • If your oncologist thinks you may be at risk of developing swallowing difficulties, they may suggest a small operation to put a tube through the skin of your tummy into your stomach so that you can be fed through the tube for a while. This is known as a PEG (percutaneous endoscopic gastrostomy) tube or RIG (radiologically inserted gastrostomy) tube. Once your swallowing improves, the tube can be removed. If you’re a smoker, stopping smoking will increase the chances of your treatment being effective. Continuing to smoke increases treatment side effects and the risk of the cancer coming back. Smoking also increases your risk of developing a second cancer in your head or neck, and of developing cancer in other parts of your body, such as your lungs. Avoiding alcohol, particularly spirits, will also help make your treatment more effective and reduce the risk of side effects. If you’d like support to help reduce your alcohol intake, your specialist nurse or doctor can arrange this for you.